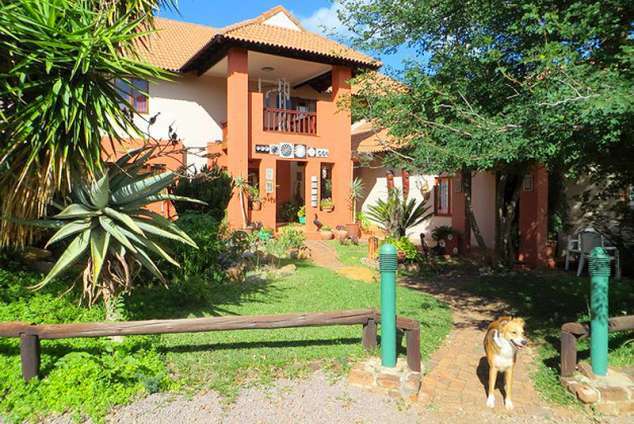 Phokoje Bed and Breakfast - Gaborone Accommodation. 1 cottage with small kitchen, bedroom, shower and toilet. The cottage is situated approximately 70 meter's from the main house with its own private entrance. It has an out door area with a braai facility. The cottage has a queen bed, air conditioner, ceiling fan, DStv, wifi, and hairdryer, fully stocked kitchen with two fridges, hotplate, microwave, toaster, kettle. 2 en suite rooms, 1 with a queen bed, the other with a double bed. They both have their own entrances, outdoor area with braai facility. They have a fridge, microwave, kettle and toaster. They have DStv and access to wifi. The rate includes a continental breakfast placed in the fridge for your own convenience. We are situated approximately 15 kilometres from town in the South on 10 acre's of beautiful bushveld. Good birding and views. We are close to Mokolodi Game Reserve and the Lion Park Resort. 6685 page views since 26 May, 2014. Last updated on 25 Feb, 2019.